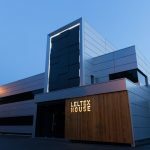 Leltex House, Manchester – Decades old office and warehouse facility in South Manchester, brought into the 21st Century with a new building envelope, including wood panelling and signage. 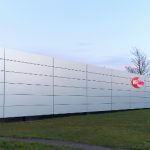 MG Safety, Nottinghamshire – Large, well established PPE clothing and equipment distributor benefiting from rainscreen metal cladding and bespoke signage. Design – Skilled designers using the latest technology to deliver 21st Century building envelope designs for you. 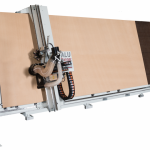 Fabrication – State-of-the-art machinery capable of fabricating rainscreen cladding to almost any specification. 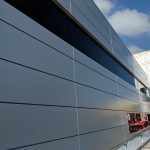 Installation – Our experienced team are on hand to install your rainscreen cladding system to the highest standards, with minimal disruption and to time and budget. 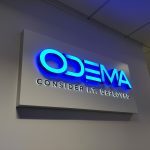 Signage & Fit Outs – External and internal signage of all types, internal fit outs and décor, all provided by sister company Hartbrights Sign Solutions. Manchester-based business services provider Verastar are so impressed with the building envelope we’ve installed at Leltex House that they’ve asked us to provide a proposal for cladding two of their buildings. 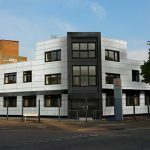 Verastar are after a similar design to the one at Leltex House, comprising a combination of metallic silver and anthracite grey ALUCOBOND® cladding. Our design team have come up with several concepts for the company, which you can see below alongside the existing buildings. 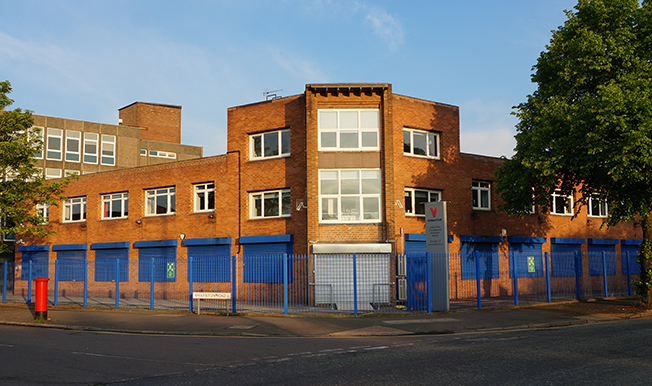 The two buildings, situated close to one another, are relatively nondescript. Our proposals will modernise them, as well as bring them in line with the company’s own image. 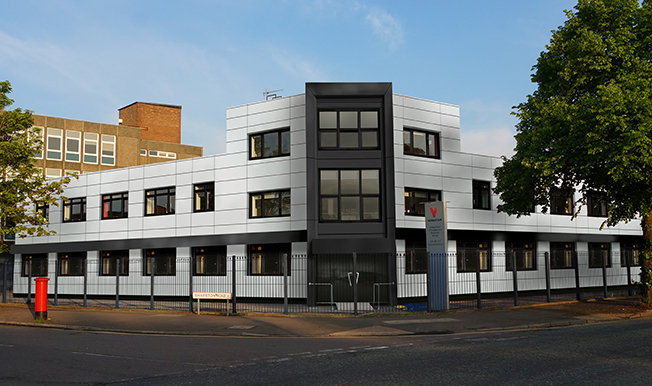 Proposal 1 – Standard cladding in metallic silver and anthracite grey. 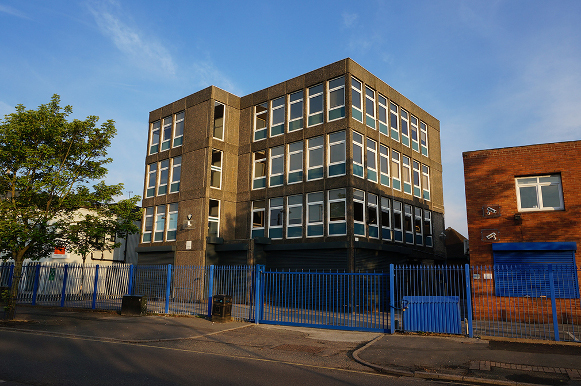 Proposal 2 – Standard cladding plus tinted window replacements. 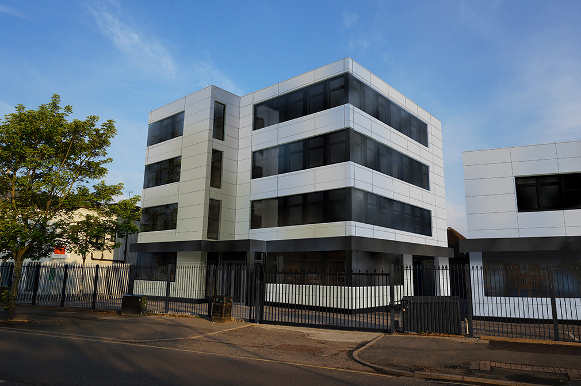 Proposal 3 – Standard cladding with tinted window strips down the length of the building. As Verastar were very specific with their requirements from the beginning, we have proposed the same configuration of cladding for each building, offering different options via the windows of the buildings, including standard glazing, tinted and tinted strips. Proposal 1 – Standard cladding in metallic silver. Proposal 3 – Standard cladding with tinted strip windows around all corners. When you compare the existing buildings with the proposed building façades the transformation is remarkable. Contact Hartbrights Architectural Cladding about your building envelope project – whether it’s modernisation of an existing building or a new project – and let’s talk about what we can do for you. Sign up to the HAC Newsletter for occasional product and project news. © Hartbrights Ltd 2018. All Rights Reserved. We use own and third party cookies to improve and optimise your experience on our site. Find out more.